You can offer promotions and slash prices to bring in as many new customers as possible. Unless we understand ‘good customer service’, get our customers to return, and employ our services again, our business will not be profitable for long. All Sanitair™ owned and operated licensees work hard. They take pride in the job they do and appreciate the opportunity to serve new customers. Are you looking for a great customer service that will protect your health and save you money? Call Sanitair™ Today on Freecall 1800 130 168 and locate your Local Licensed and Fully Qualified Sanitair™ Technician. 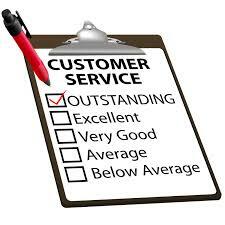 Good Customer Service – Sanitair™ Delivers Everytime. Do you know how to identify if someone is experiencing an Asthma attack?